We integrate with the leading restaurant technology providers to create an all-in-one labor management solution for your restaurant. HigherMe helps restaurant and retail businesses hire better people, faster. Hyr connects restaurants and workers to fill any shift, at any time. Access 1,000s of workers, when you need them, at the best possible price. MeazureUp is a mobile digital field audit program helping multi-unit businesses, like restaurant chains and independents, manage operational consistency using data and analytics. Piik integrates data from multiple systems, continuously recognizes patterns, and provides actionable insights and recommendations that increase sales and productivity, reduce labor and inventory costs, and improve customer engagement. SevenRooms is a reservation, seating and guest management platform that helps hospitality operators boost profits through direct and personalized relationships with guests. Direct reservations, guest profiles, marketing, POS integration and more. Solink connects video to POS and business data to enhance loss prevention, security, and operations. Typsy makes training easy. We specialise in providing online video training from the world's best hospitality instructors. For hospitality businesses, staff and schools, we have over 300 short skills training videos that are perfect for today's hospitality training needs. Wisetail is an award-winning, cloud-based Learning Management Software (LMS) powering great places to work. Wisetail is built to address the unique training challenges of today's restaurant industry. Are you our next strategic partner? 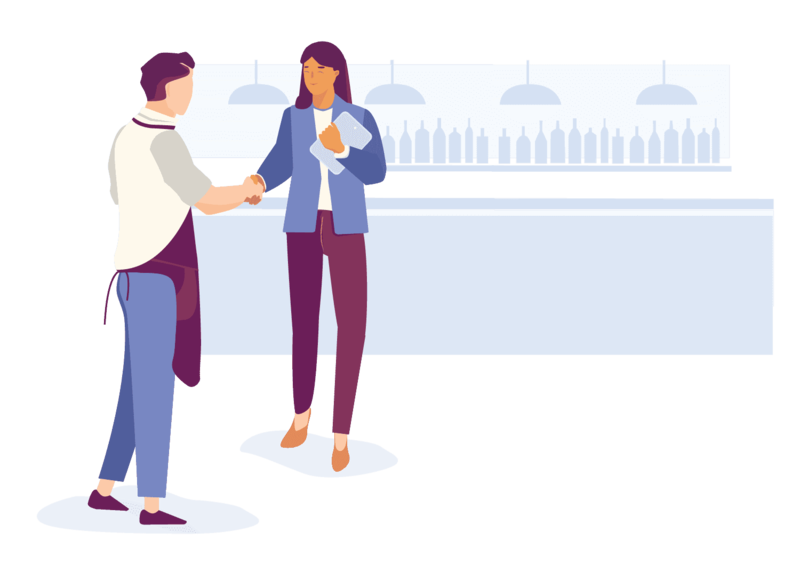 Submit a request to become a partner and we will get back to you to see how we can work together to provide value-added services to restaurateurs. Sent. We will be in touch.